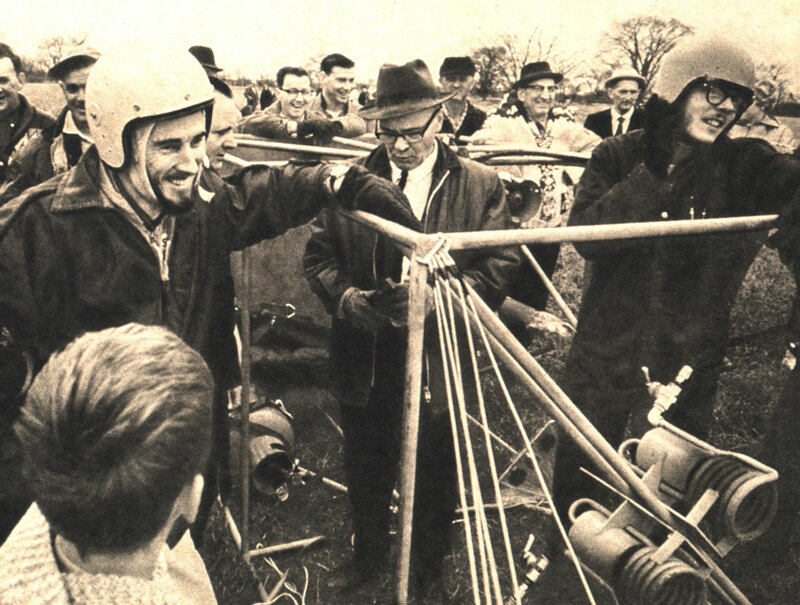 exuberance of small builders and hobbyists in the early 1970s. 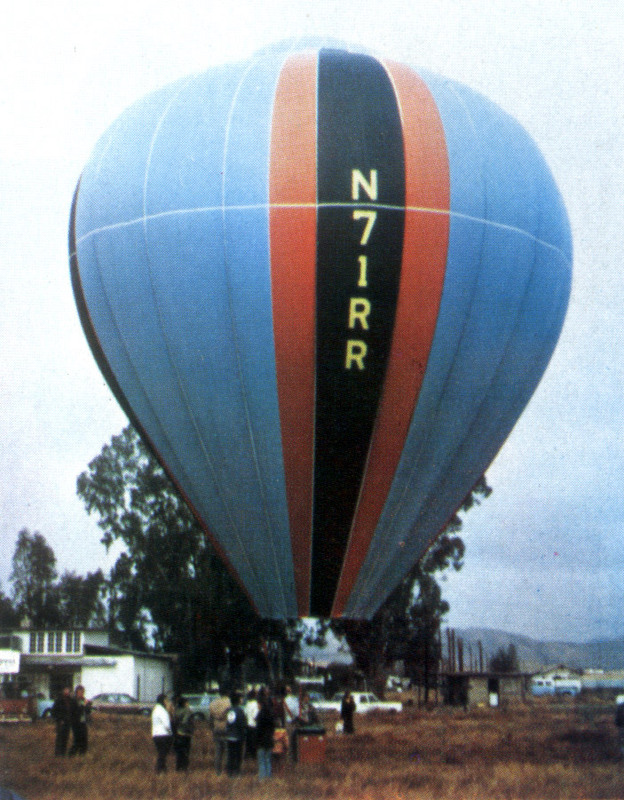 1970 patent granted to her builder, Linden Harding. Of all the reasons I'm fascinated by the early balloons, probably the foremost is the fact that it was in those first years, before everyone knew everything, that the innovation and exuberance of ballooning design reached its apex. 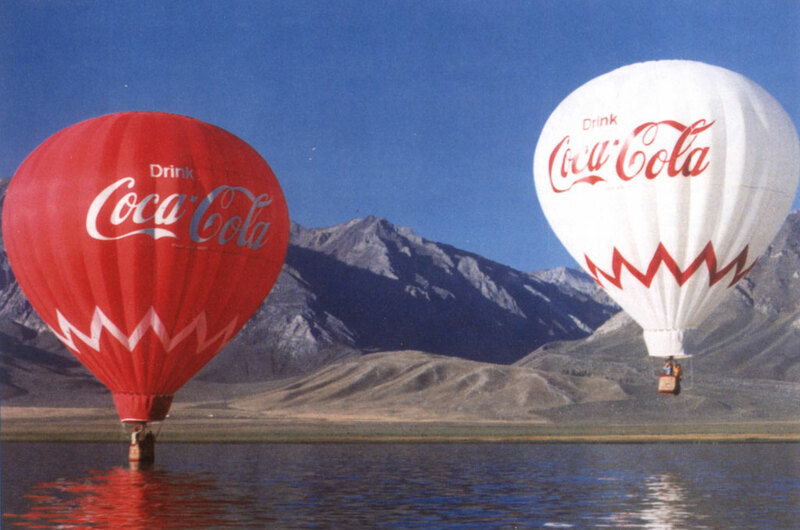 Many designs simply copied commercial models, and many original ideas were undoubtedly abandoned for good reasons. 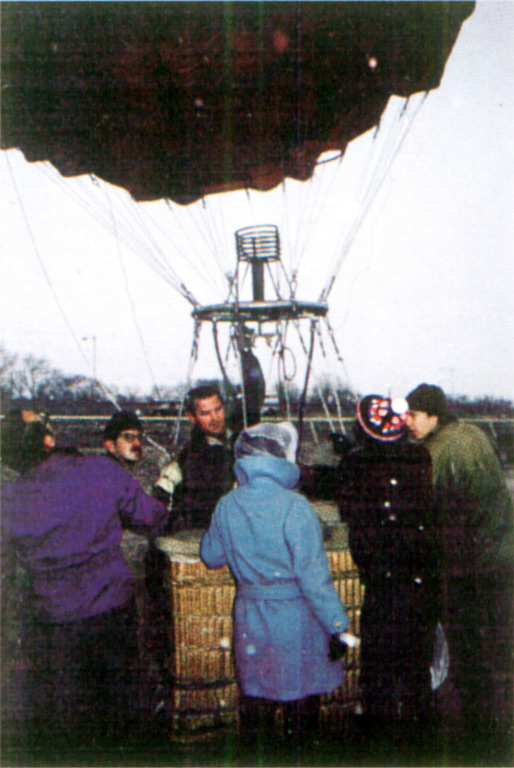 Nevertheless, as in the early days of so many other endeavors, there was a feeling that anything was possible. 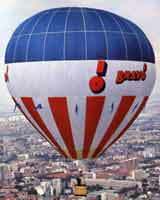 Combine that with the spirit of the '60s and (at least the early) '70s as a whole, and you get a burst of creativity that exemplifies the best in every aeronaut. 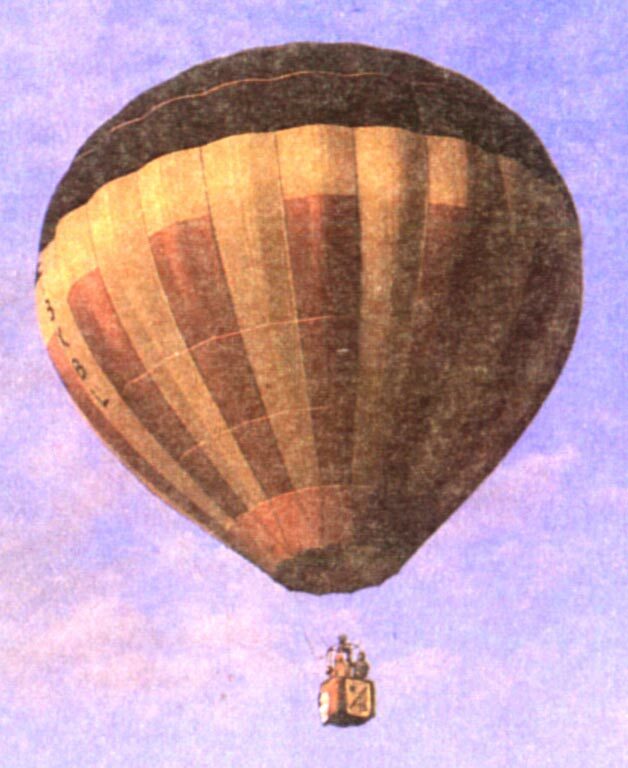 Not too long ago, I was poking around on the U.S. Patent Office website, and ran across a patent granted to one Linden Harding, designer and builder of a number of balloons, including "Hail Atlantis," pictured at the top (and on the background) of this page, and billed as a "Transcom-Commodore." The patent doesn't describe "Hail Atlantis" exactly, but seems to share some features, so I decided to create a page dedicated to Harding's patent, and, by extension, "Hail Atlantis." View the Harding page here. 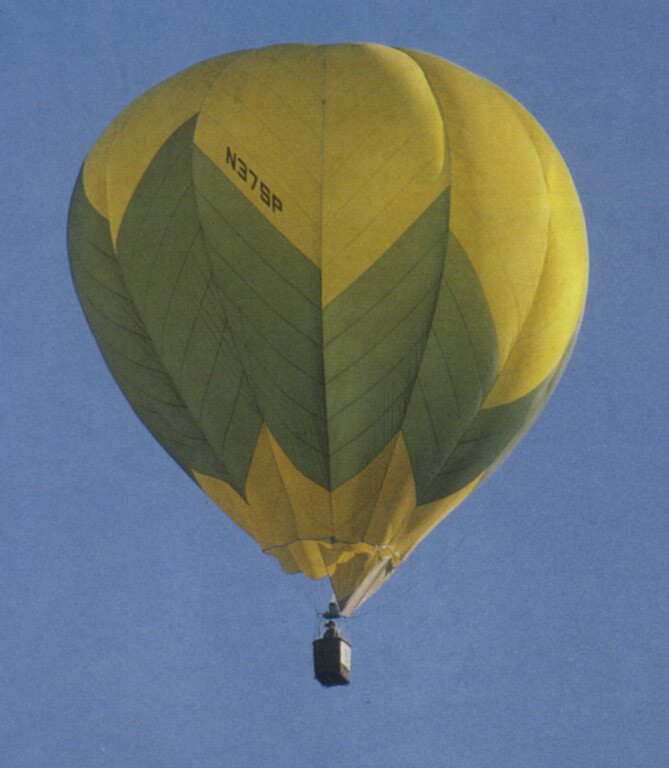 Recently, I learned of a balloon that deserved recognition on these pages, and set about to work with her owner and her friends to create a web page for this one-of-a-kind aerostat. I'm talking about Topper, built in 1975, flown every year since, and still flying today. 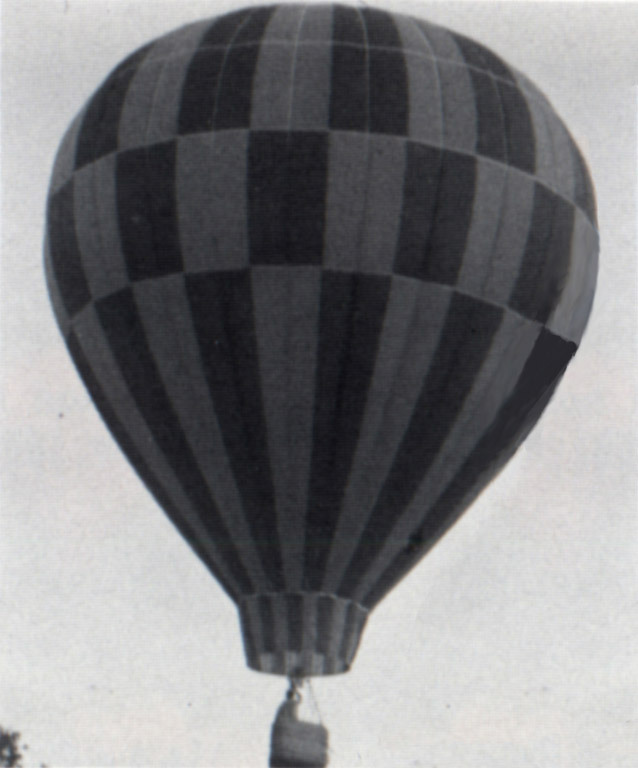 She's a unique balloon, which is obvious at a glance. 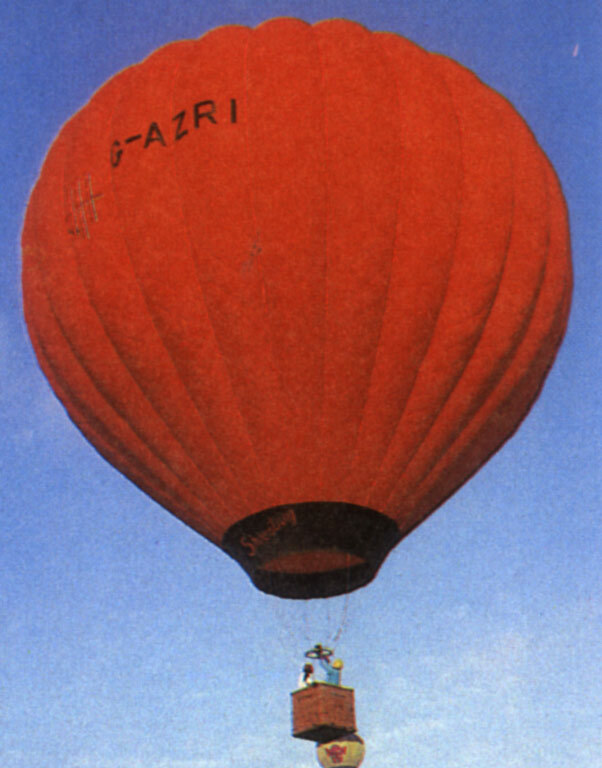 Many of her features were far ahead of their time, and despite the design's departure from what everyone else was doing, its soundness has been proven by Topper's having achieved the honor of being the oldest "experimental" balloon to have flown at least once a year. 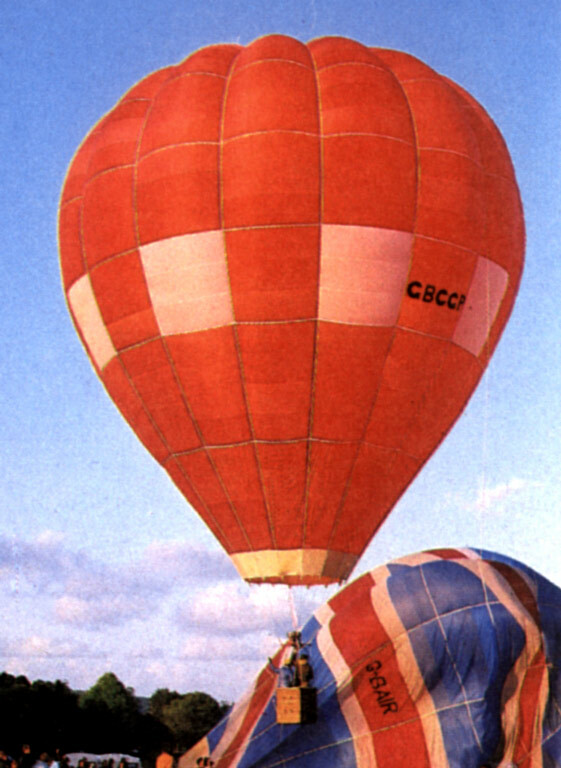 In fact, although at least one production balloon has been flying longer, it's not clear that it's flown every year. 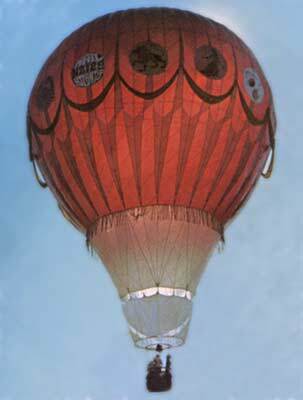 Therefore, Topper may even be the oldest continuously-flown balloon, period. 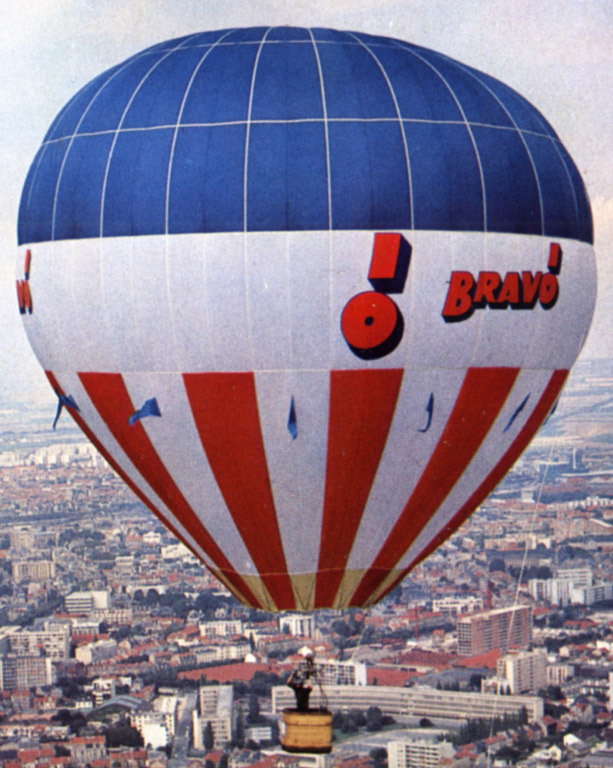 Either way, she's worth a look, and worth wishing another 30-plus years in the air! Take a look at Topper's page here. 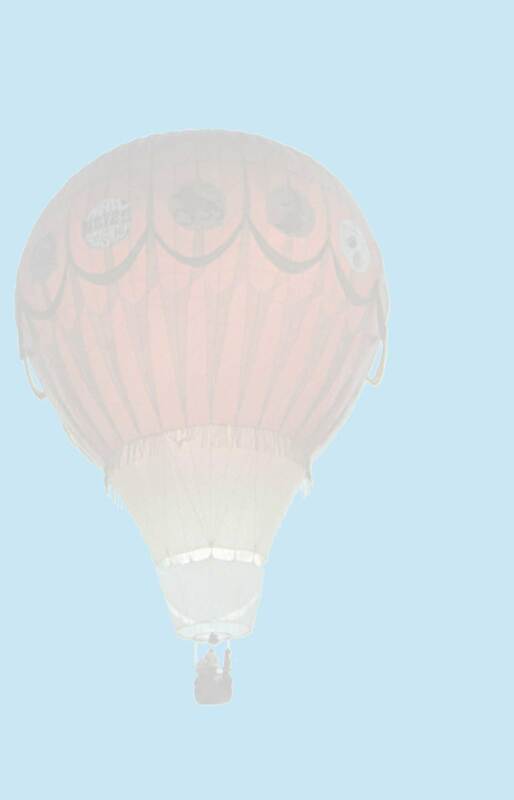 Though this is far from the sparsest page on this site, it's definitely the one that least-thoroughly depicts its subset of ballooning. 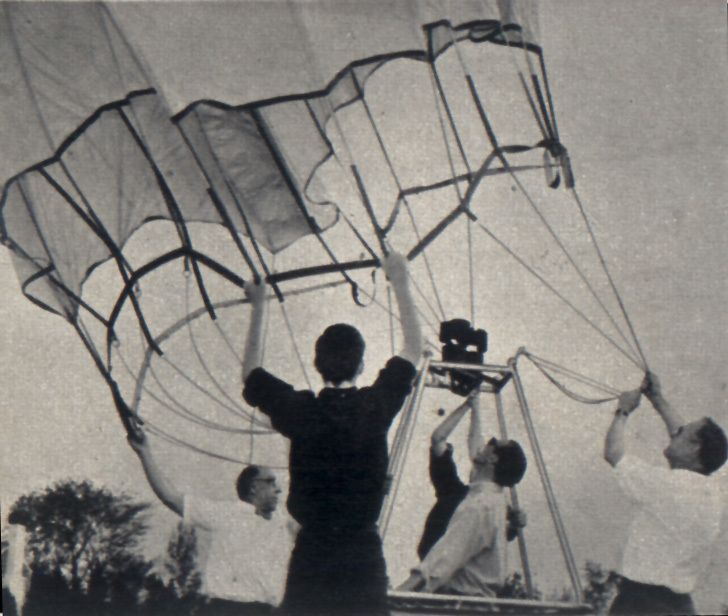 Homebuilding has always displayed a vastly greater variety of ideas and approaches than are portrayed here. If you have photos, literature, information, etc. about homebuilts and start-ups from this period that you can either e-mail or snail-mail me (I'll return anything mailed, promptly after scanning, at my own expense), please drop me a line! 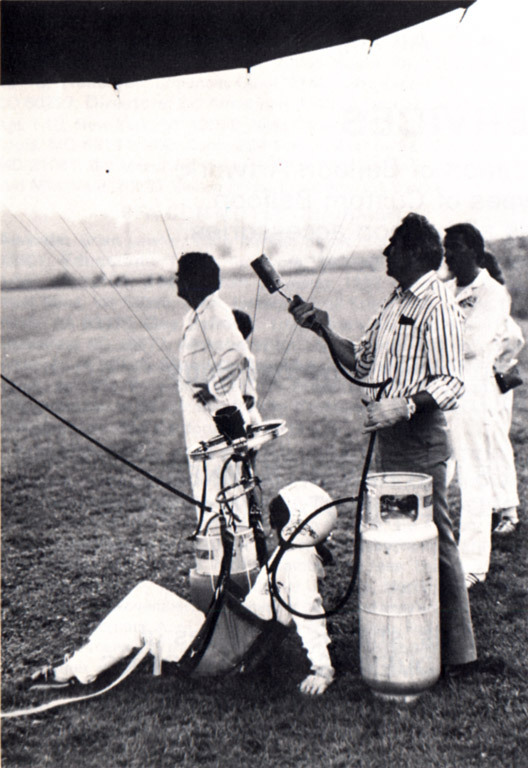 It's my goal to continue expanding my knowledge (and yours) of this entertaining and important subset of ballooning. Some files are nearly 300KB (although some are tiny), so downloads may take a while. Or not. 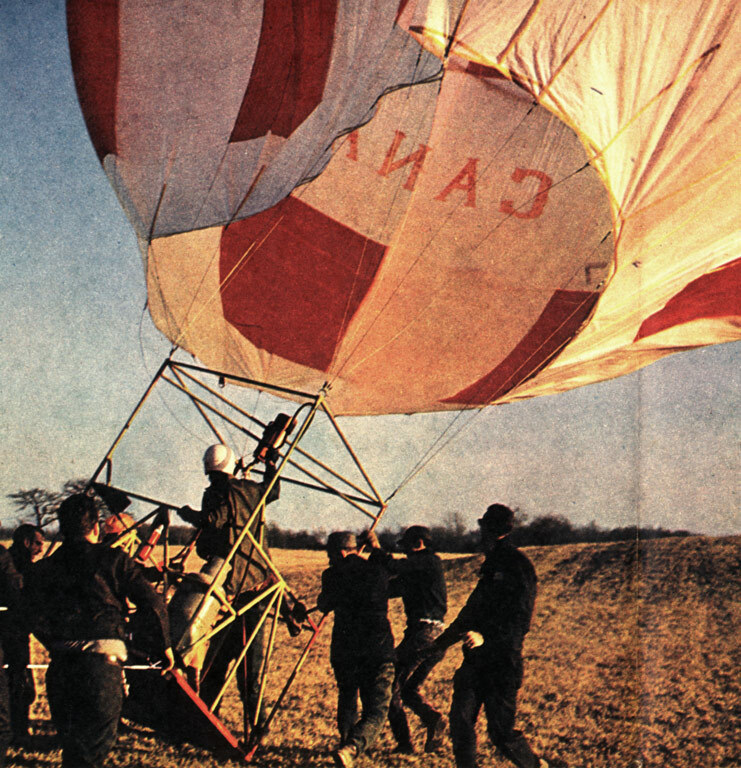 Canadians Stan Sheldrake and Ken Merritt built The Spirit of Canada in 1967, to celebrate their country's Centennial. 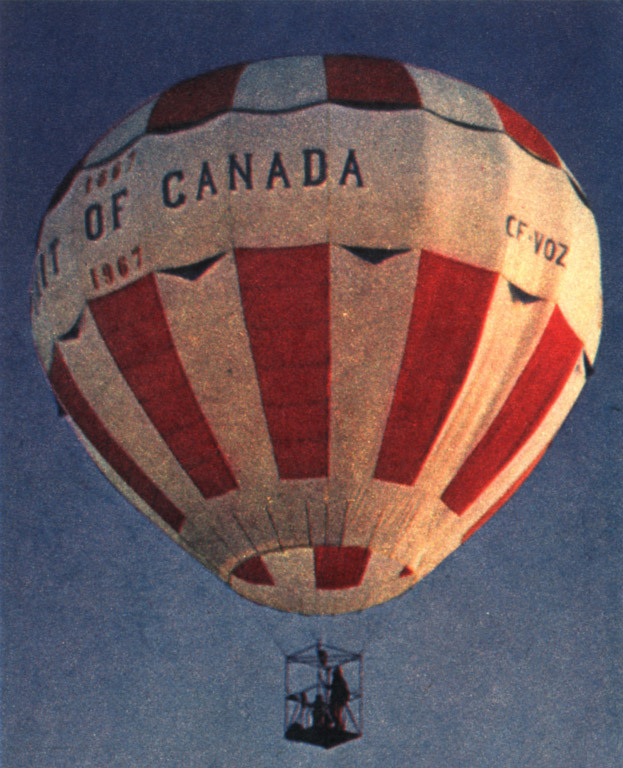 Click here for the balloon in flight, and here for a better look at the burners (all three from the Toronto Daily Star's "Canadian" magazine, 8/26/67). 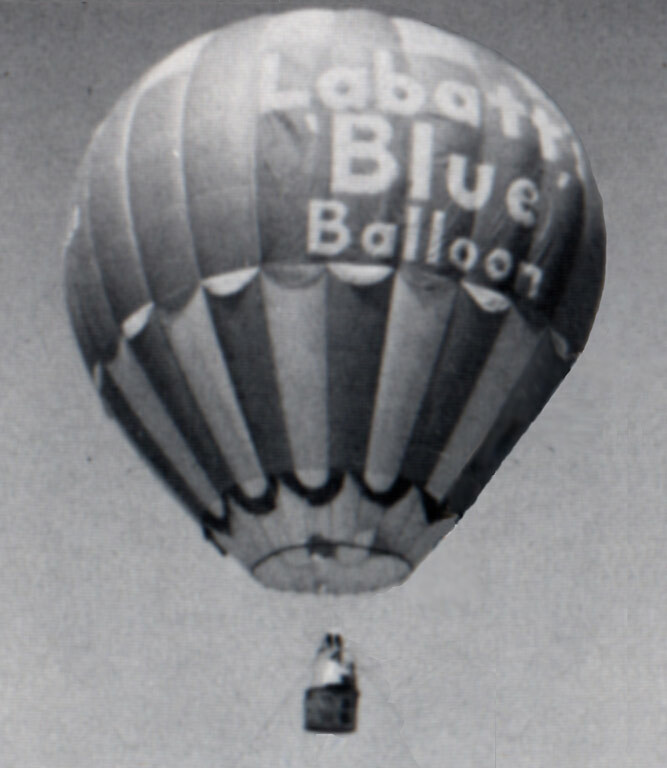 The Labatt's Blue Balloon is the only other Sheldrake of which I'm aware. 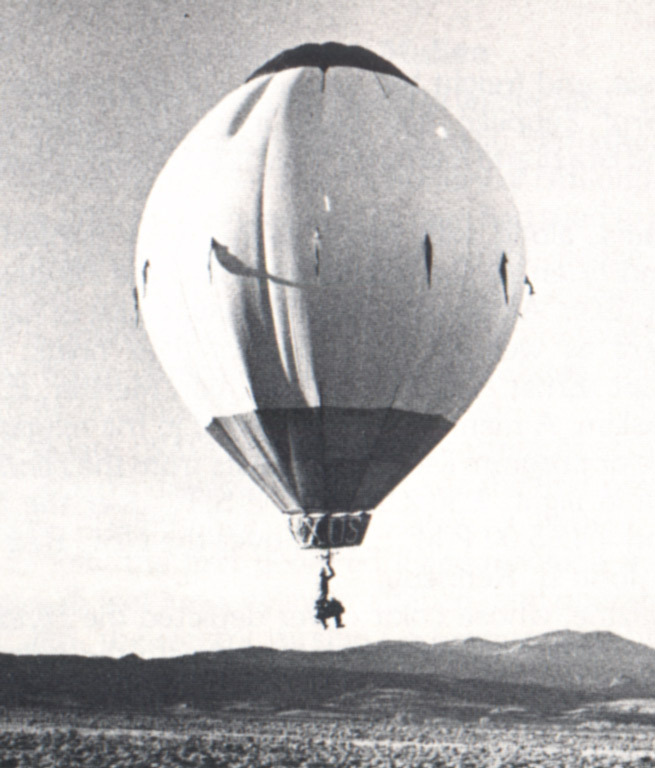 Phil Kavanagh (as in Australian innovators Kavanagh Balloons) taped together this polyester-film balloon, Little Bear, in 1968. 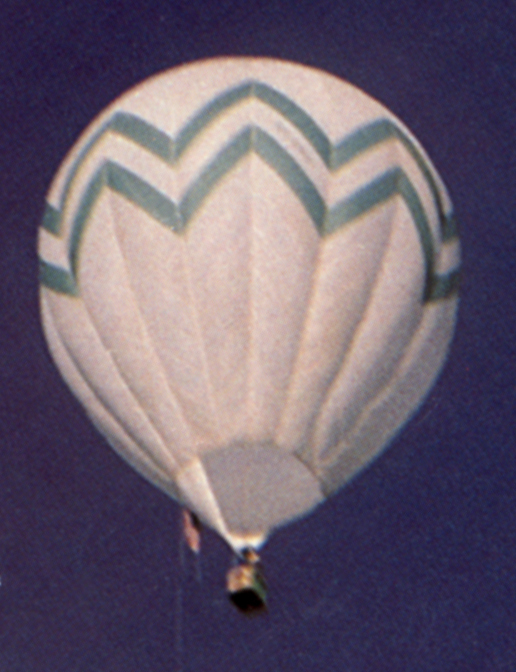 Here is the basket, and here is Kavanagh's first fabric balloon, Ulinga (in its sometime Stokes-like superpressure configuration). See "Company Profile" on Kavanagh's web page to learn more. 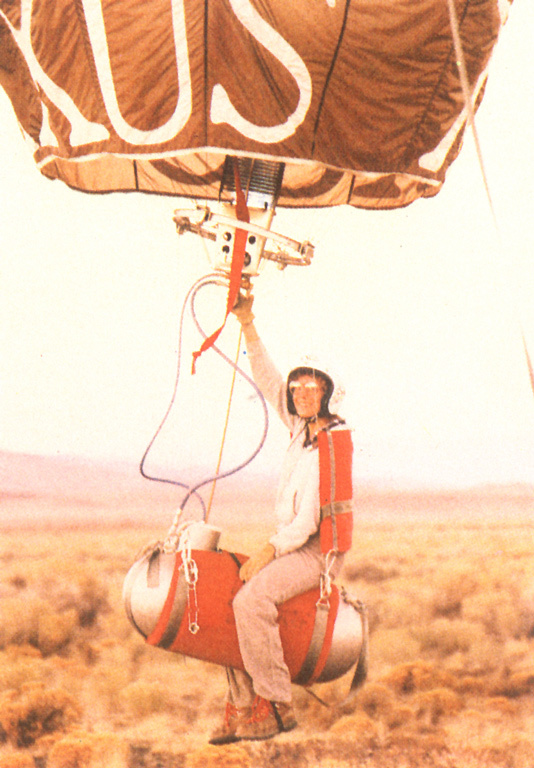 Brian Boland, the dean of homebuilders, built this AX-3 tank-rider (¤), which his then-wife Kathy rode into the record books in the late '70s. 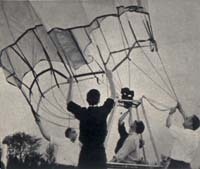 He also built this AX-1 record-setter(¤). Here is the harness of the AX-1 (¤), and the AX-1 again, (shown next to Brian's AX-7). 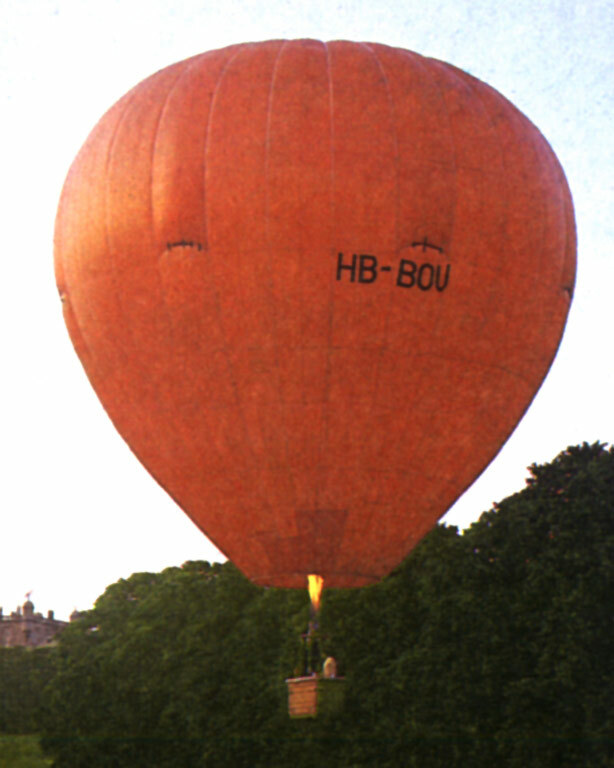 The balloons' "pointy-headed" look keeps fabric as far as possible from burner heat. 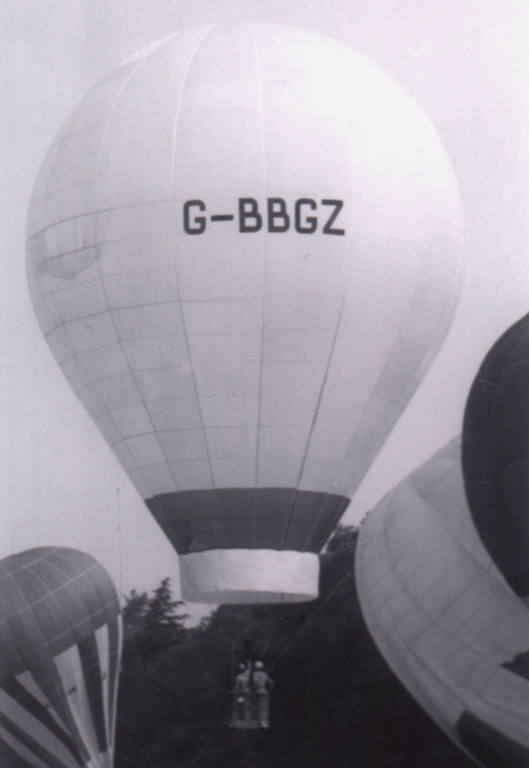 Malcolm Brighton, a member, with Don Cameron, of the Bristol Gliding Club, built both hot-air and gas balloons in the 1960s, but was lost in the Free Life Transatlantic attempt, 1970. 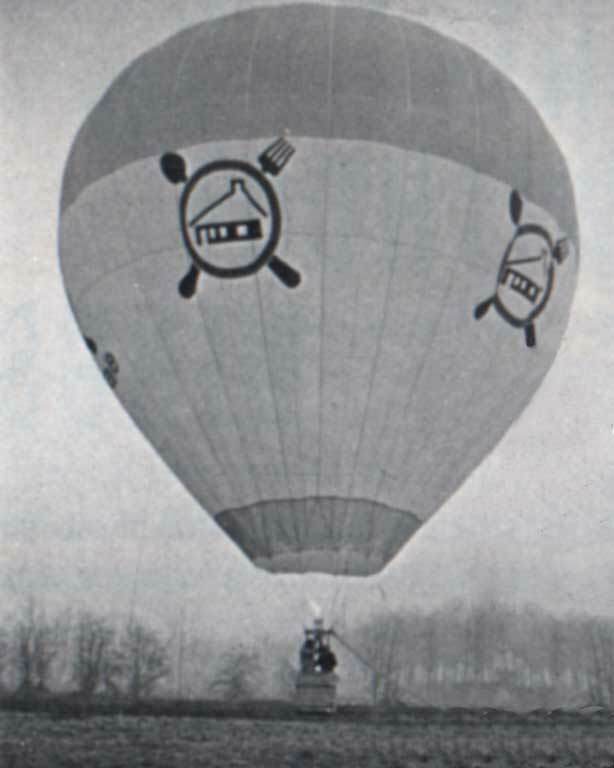 Here's a different shot of the balloon shown above, and Here is a nice shot of a Brighton basket and burner, in snow flurries at the '73 worlds. 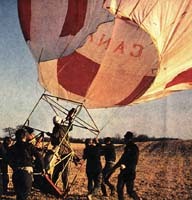 J.C. Turner's MK6 Smithill, a clear-plastic British homebuilt, 1966. 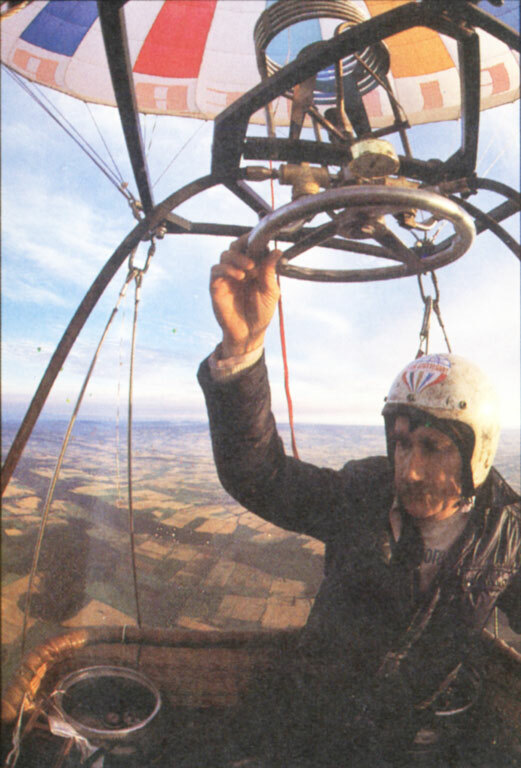 Its one flight went into powerlines, and the pilot escaped unhurt. 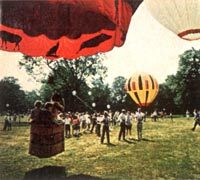 Later, more successful British homebuilts included The Cambridge Balloon Club's Phlogiston (1973) (another shot here (Photo: Peter Bish)), and G.F. Payne's Shoestring (1972), which, to my eyes, bears a passing resemblance to the production Barnes balloons it predated (Photo: Mike Drye). 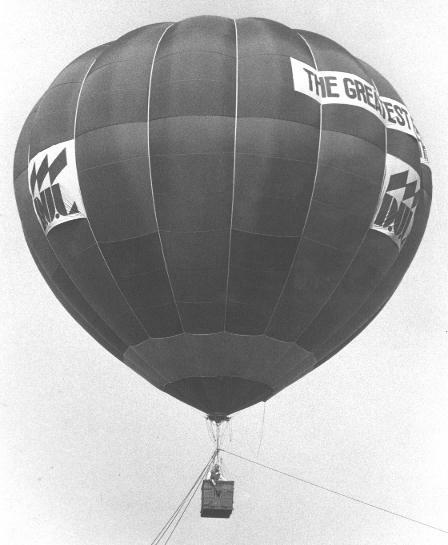 David Schaffer built Uncle Wiggly, in which he won the '81 Nationals. (better shot of the basket and burner[¤]). 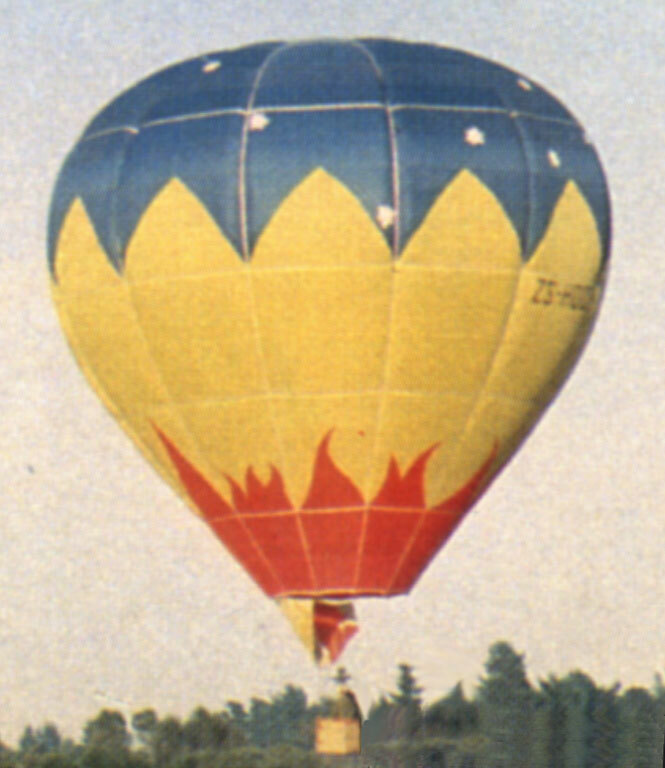 Here's Schaffer's first homebuilt, Egg (in which he won the '75 Worlds!). 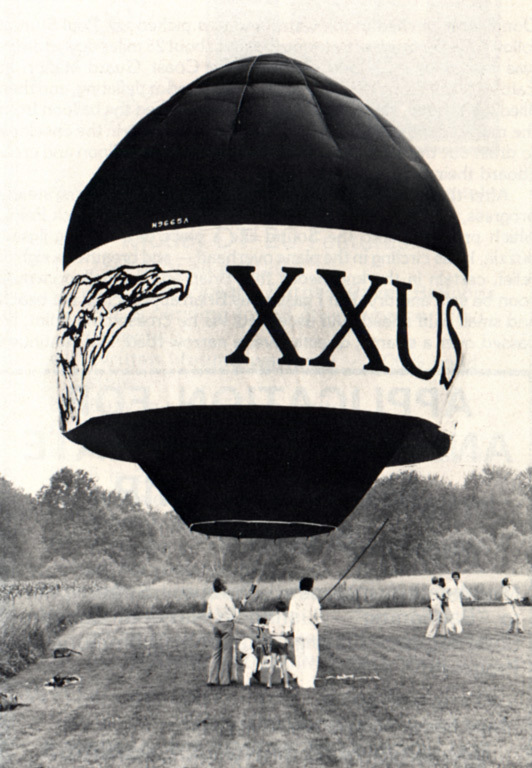 Other American homebuilts include this AX-5 "World Wide," from the mid-'70s, and this early-'70s effort by "Who's Who in Ballooning" author Robert Rechs. 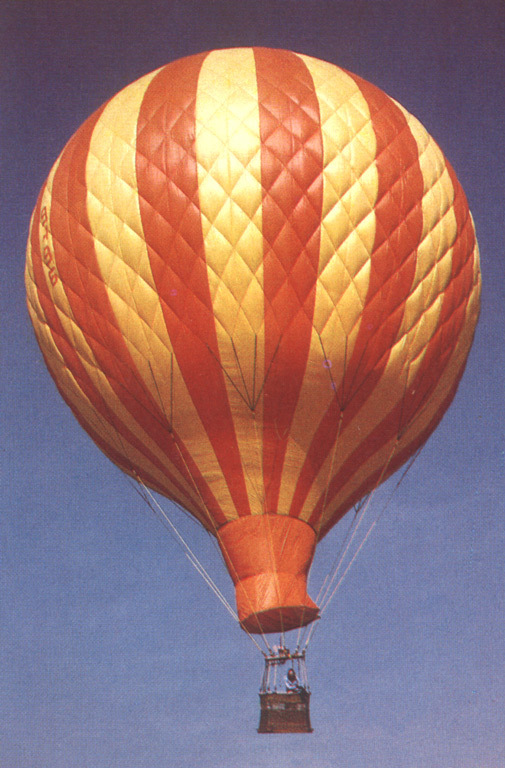 "Pichon," the netted hot-air balloon, designed by Jim Whittemore in 1972. 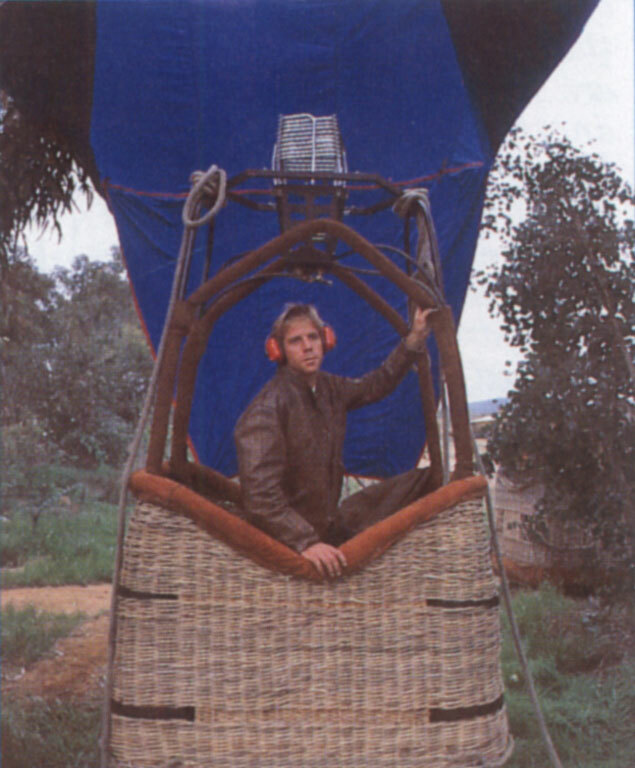 The basket was hand-woven wicker, and the burners designed by Whittemore and Doug DeArmond (photo by Dave Tevebaugh) ANOTHER MYSTERY SOLVED? 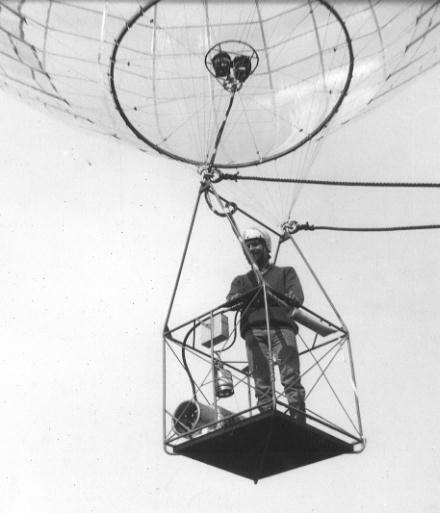 Greg Winker to the rescue again, identifying the yellow Raven S-40 (envelope, anyway) in the background and the red balloon, foreground, which he's pretty sure was made by Jim Contos, among the USA's first modern-balloon builders. 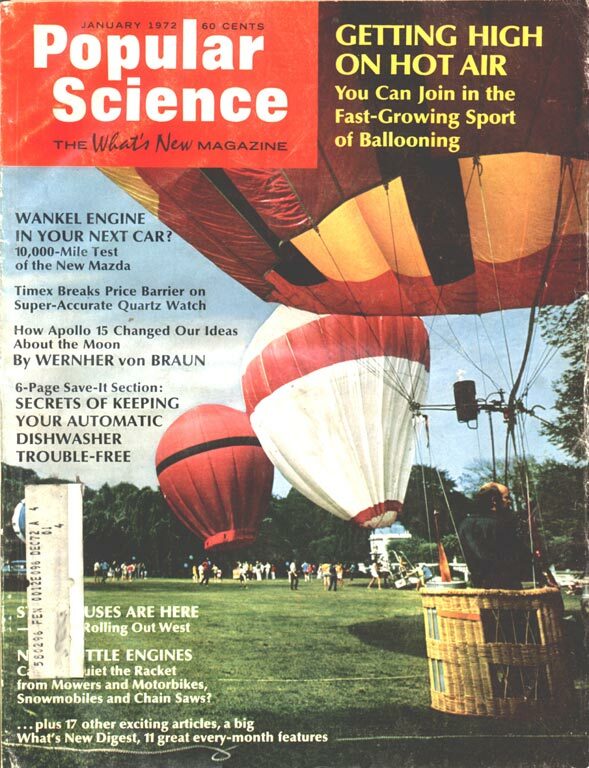 Here's the opposite view, the cover photo (pretty beat-up) of Popular Science, January, 1972. 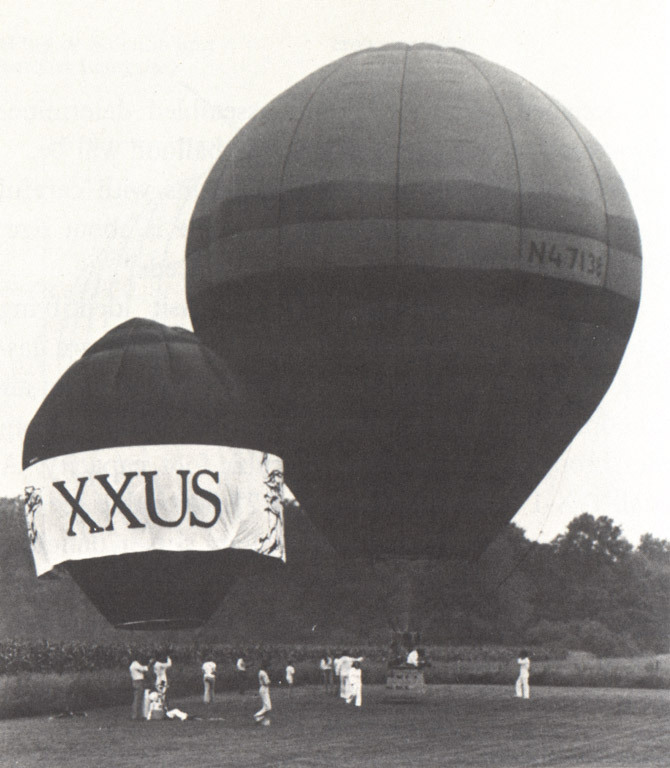 This photo is from 1966 or so - I have no idea what kind of balloon it is (if only photo captions included technical and corporate detail!). At least I have a shot of the basket. 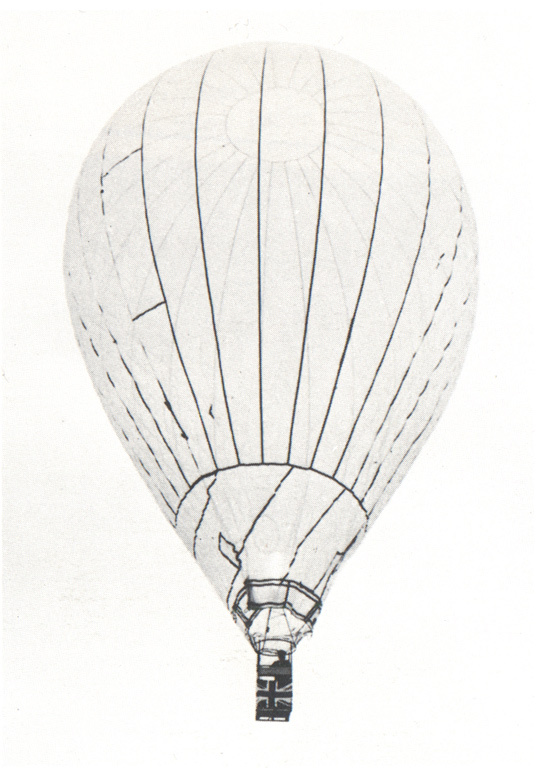 This balloon, registered as a "Gazebo," was the first British-built balloon with a parachute top. 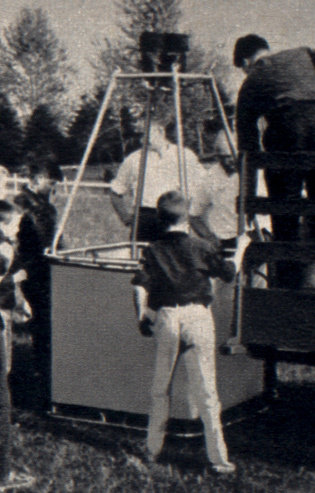 'Far as I know, this was the only "Gazebo" built. 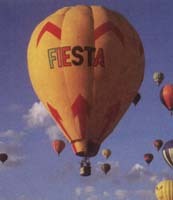 Terry Adams brought the last production Western with him to South Africa, where he started Flamboyant Balloons. 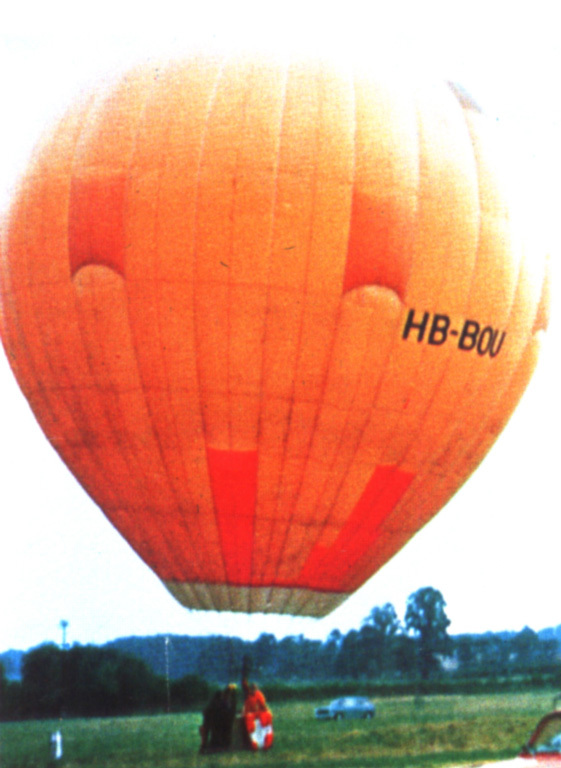 Adams entered this Flamboyant in the '81 Worlds, in Battle Creek, Michigan. 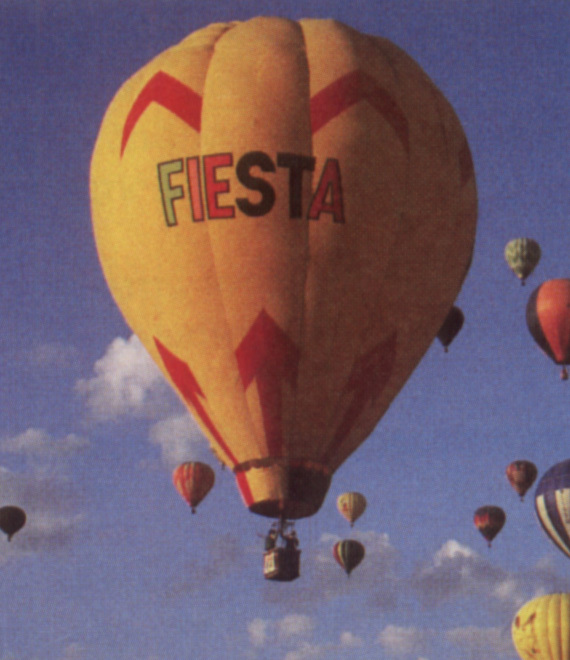 Albuquerque Thunder dealer Bob Ruppenthal designed the AX-7 "Fiesta," which was not completed when he sold the business to Norm Courtney and Daryl Gunter. 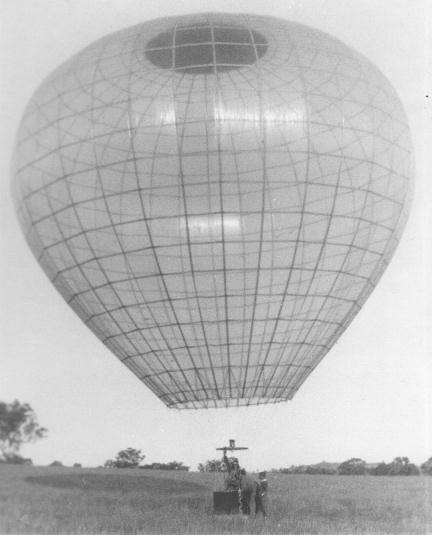 They finished construction and got "Experimental" FAA certification of the taffeta balloon (like Piccard), sewn on the bias like Balloon Works' design. The original "slot" top was later replaced with Raven-style Velcro (thanks to Norm Courtney and Doug Rodgers for this information). 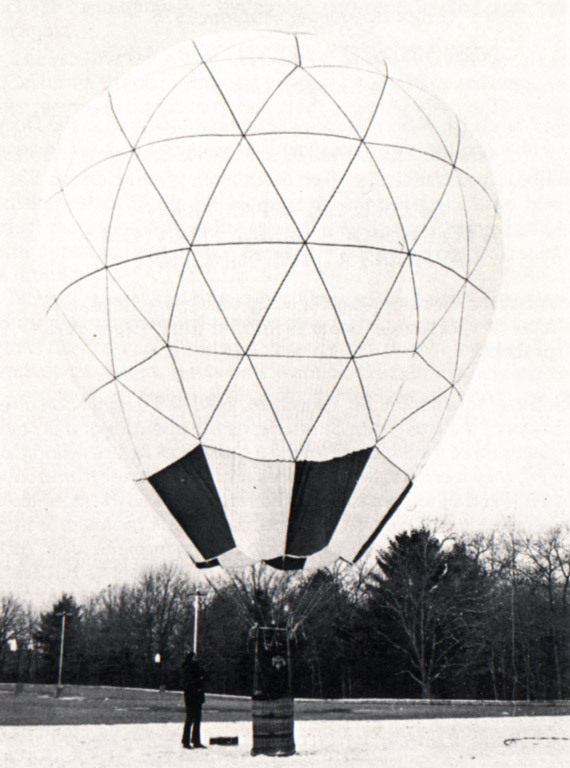 Stumpf Balloons, known now as a parts supplier, built this geodesic test model in the late '70s, but found that it elongated, rather than holding its spherical shape. 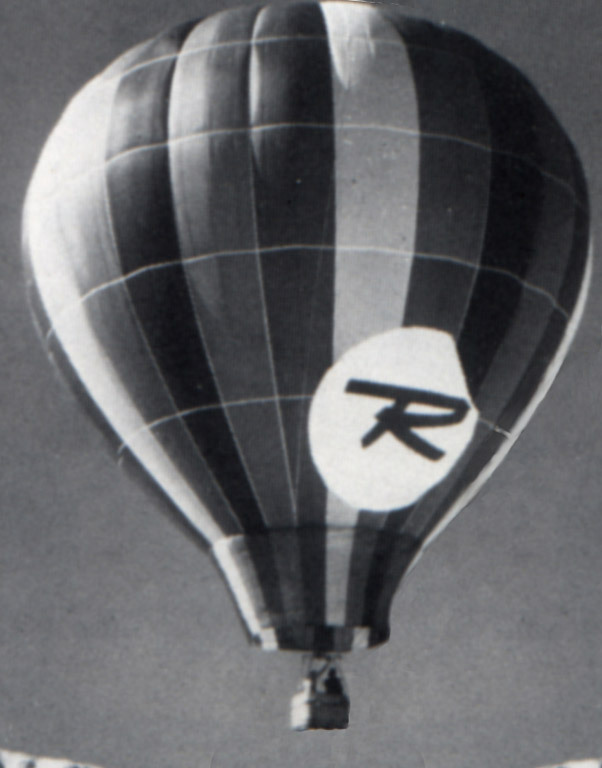 Starting around '80, Caldwell, a company better known for cold-air inflatables and replacement envelopes, built these polyester balloons. 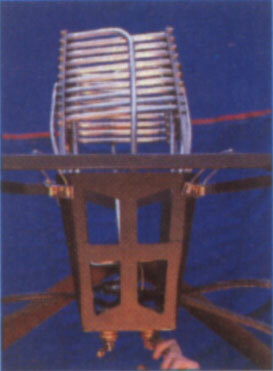 The Raven resemblance extended to both the basket (¤) and the burner (¤). 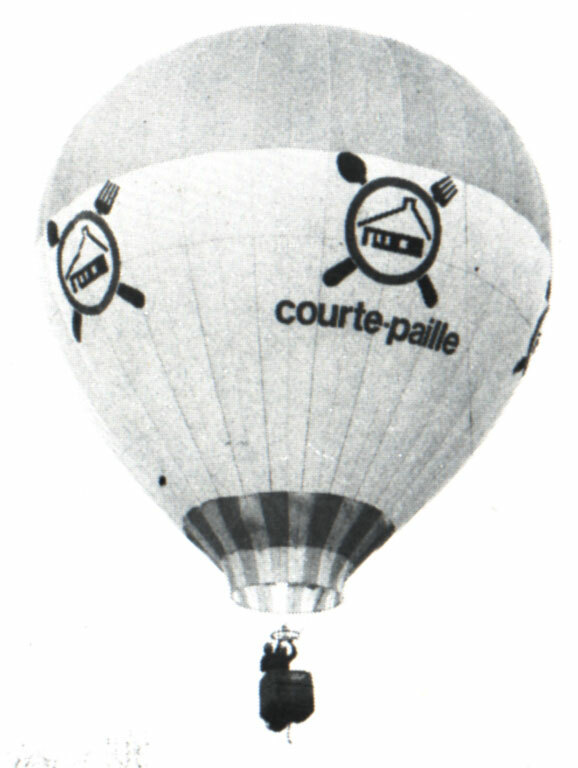 Not long ago, a magazine came into the possession of The Early Years of Sport Ballooning: the September 8, 1974 issue of Le Pèlerin du 20e Siecle, bearing the cover story "La revanche des Montgolfières" ("The Revenge of the Montgolfieres"). 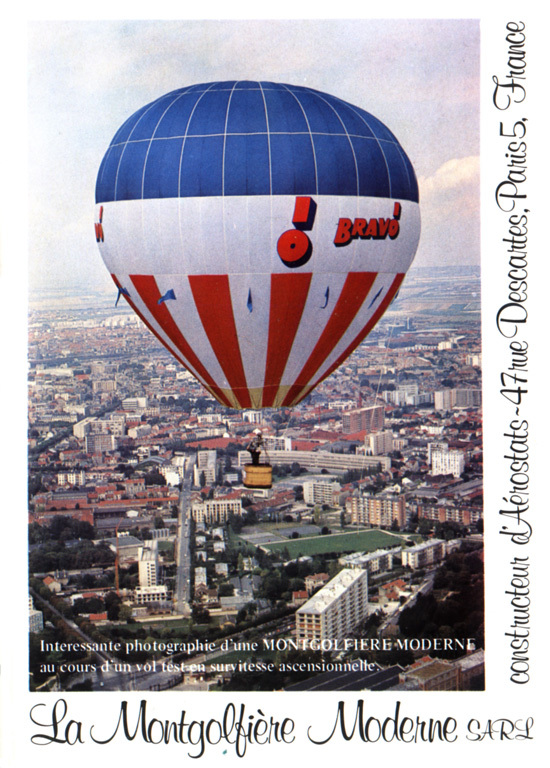 Inside, a beautiful set of photos depicting the preparation and launch of a brightly colored Montgolfier Moderne. 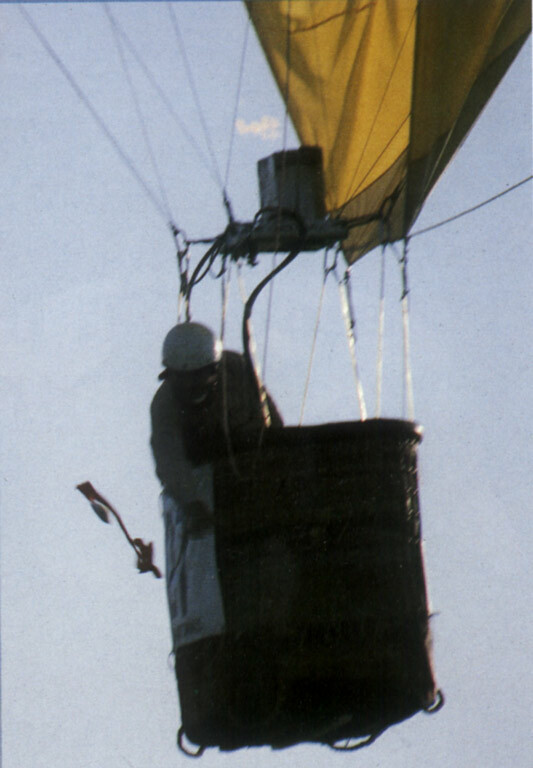 Far from the typical magazine shots showing the balloon at a distance, silhouetted and backlit, the photos clearly show the unique MM burner and beautiful basket; a treat for anyone curious about the construction of these distinctive aerostats. Click on thumbnails to display photos below. To see this gallery full-screen, click here. 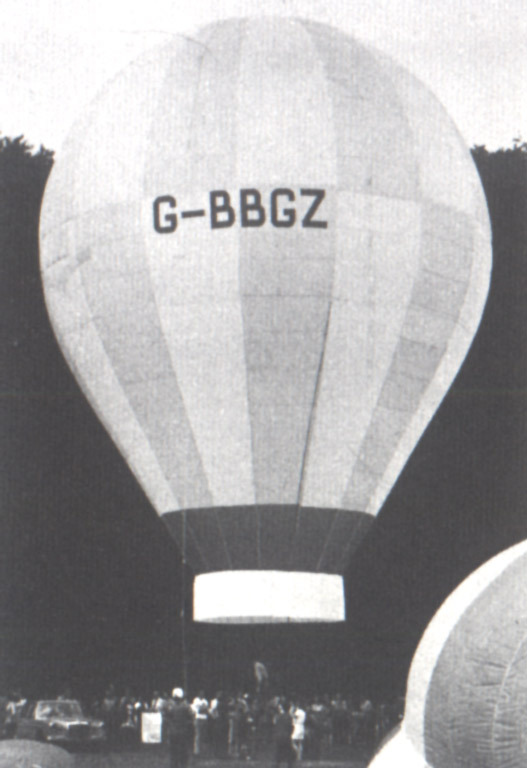 Thanks to Greg Winker for identifying three previously unknown balloons on this page. 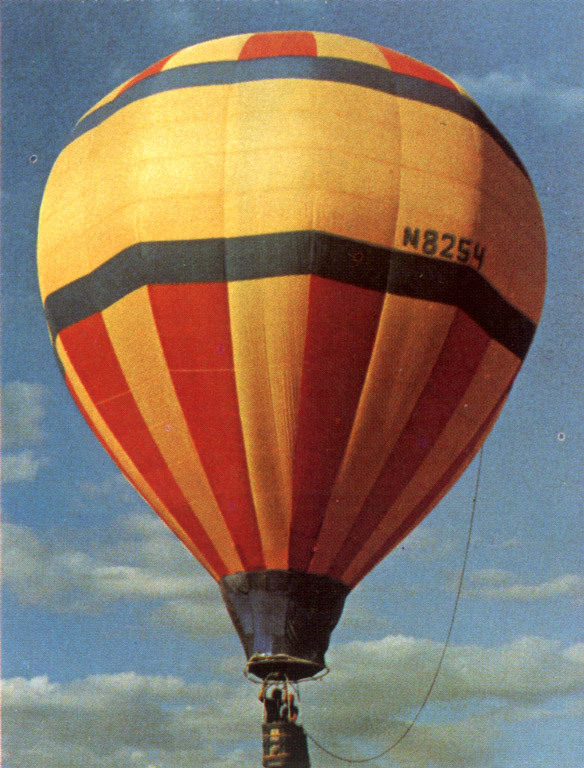 Extra-special thanks to Lance Terry, for the loan of his '78-'81 Ballooning magazines, to Glen Moyer, for the generous permission to reproduce images from Ballooning, and to Peter Bish, for allowing the use of some of his vast collection of historic British balloon photos.